It’s amazing how just a few ingredients can be so delicious. Seriously. 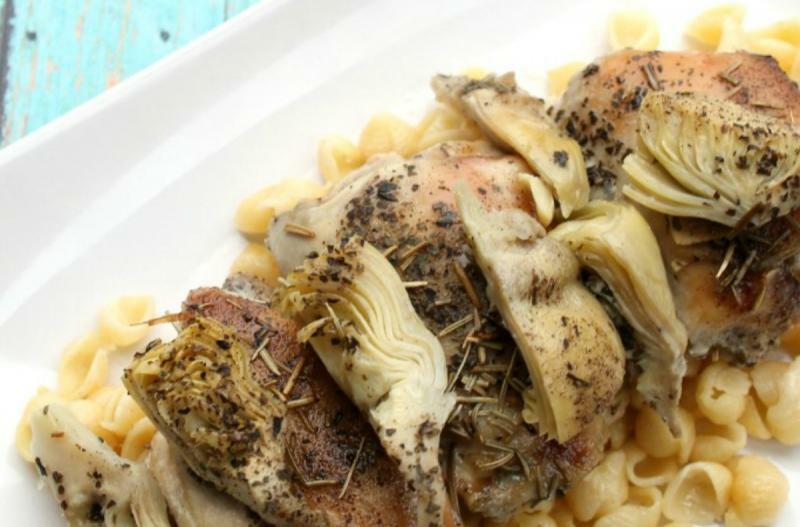 Place the chicken breasts into the base of the slow cooker and add the artichoke hearts over the top. Drizzle the olive oil on top and then sprinkle with dried rosemary, garlic powder and dried basil. Season with salt and pepper. Set the slow cooker on low and cook for 6 hours. 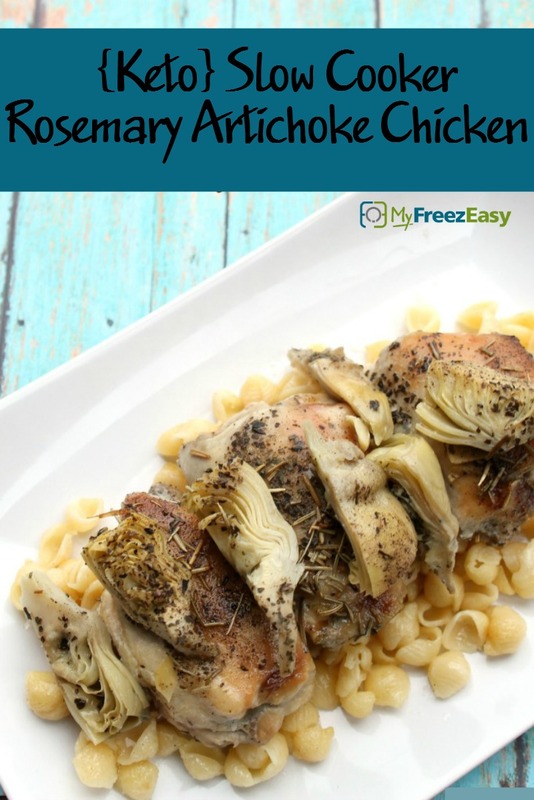 Serve Slow Cooker Rosemary Artichoke Chicken with salad and veggies. Open and drain 2 jars of artichoke hearts. Put baggie in the freezer and freeze up to 6 months in fridge freezer or 12 months in a deep freezer. Thaw in the fridge overnight, or a warm bowl of water for about 20 minutes, before transferring to the slow cooker and cooking on low for 6 hours. Thaw and slow cook on low for 6 hours. Serve with salad and veggies.